I would like to convert the CO readings from kOhmn to ppm. Can you please provide a formula for this? I have the newest version of the SCK. If you can provide just a rough estimate, I would greatly appreciate it. sensor (Example: RS = 641KΩ will be around 8.3 PPM). Let us know if you have additional questions, comments, or recommendations. Reading the specs of the sensors, you can find a pair of graphs that relates ppm to the Rs/R0 value (calibrated at 25°C). I suggest you to tabulate the graph and interpolate to convert from RS/R0 to ppm. I have done it for CO and it makes some sense. To test it, I smoked a cigarrete in front of my SCK and saw how the ppm value increased drastically. In case you are interested I can post the table and the C code for interpolation. I don’t think the formula is PPM = RS/R0. What is says the document is that resistance is a function of CO concentration and that the resistance decreases in presence of CO for example. So, something is missing in your formula. I would suggest to take into account @upmcityfuture’s suggestion. I wonder why the platform shows the value in kOhms instead of showing PPM. Thanks for anyone that can help out with this issue. Kind regards. can to tell me how you get the ppm value from kohm,the formula conversion. i have tried but i didnt get in ppm values i try to convert but it is showing something different values wihich is wrong. can you help how to convert values in ppm? refer to this explanation for a basic introduction on CO conversions. 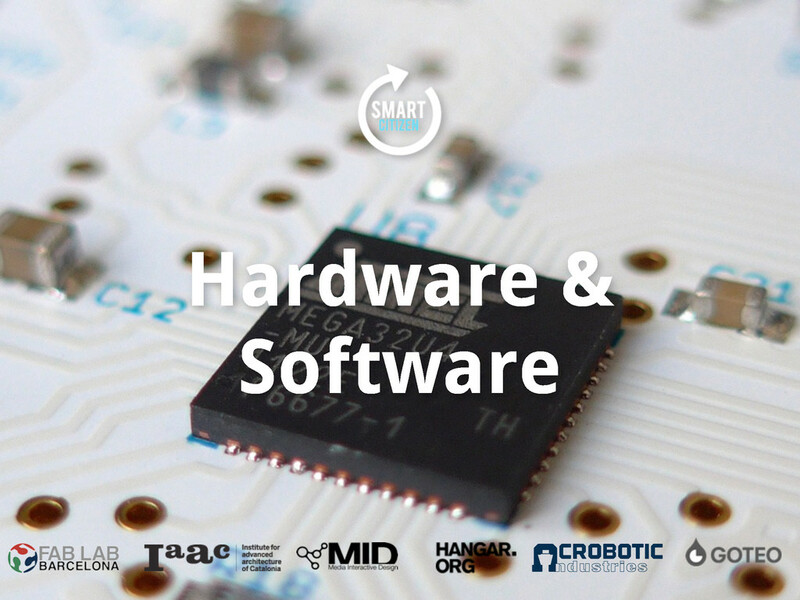 An overview of the current software and hardware that runs the SmartCitizen project. The slide shows that your group made tests in order to obtain the R0 values. I’m wondering if you could tell me how those tests were performed or put me into contact with someone who performed them. I would appreciate it. I’m attempting to use these sensors for air pollution research purposes. The data sheet for the CO/NO2 sensor provides a curve for the relationship between Rs/R0 and ppm, which is not a linear relationship… it is exponential. An increase in CO Kohms corresponds to a decrease in ppm. An increase in NO2 Kohms corresponds to an increase in ppm. This needs to be explained to the users. you are completely right, we are working on a new documentation focused in helping users make sense of the data. We will share updates on the next months. We will be really glad if you can share your research outcome with the rest of the community. Can we have the Website list the PPM value by default. Will make it simple for us simple folk to work out what is safe in our area? Hola, cómo están, quería saber como hacer la conversión de komhs a ppm. En el mapa donde aparecen todos los dispositivos dice: ohms (ppm), que significa?